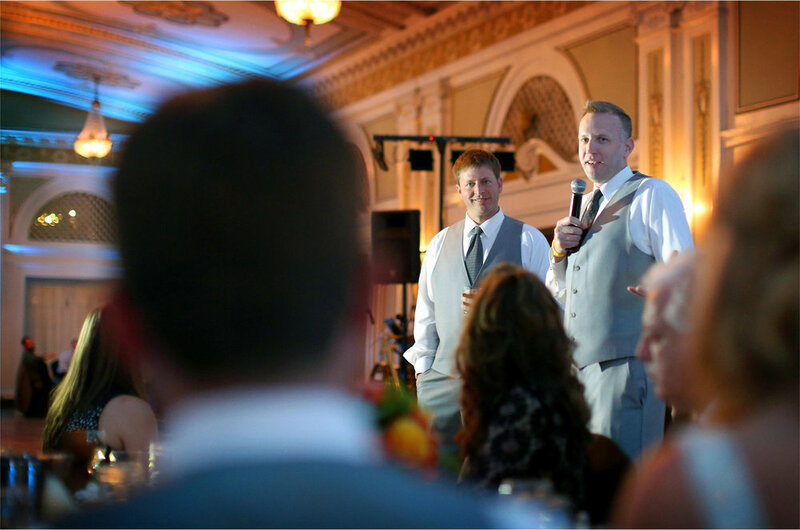 The Wedding Industry in Minnesota is a cozy family. 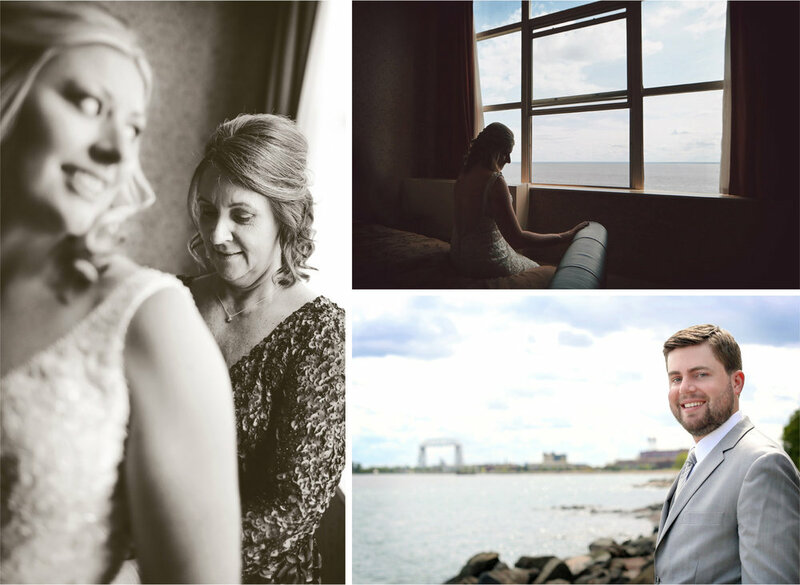 Katie and I have been through the trenches of making so many other bride’s days special, working at The Depot Minneapolis, and now the Minneapolis Marriott Southwest. I was extra excited to get asked to join her and Andy in a place that is dear to Janelle and my heart; Duluth! We started things off with final touches at Fitger’s Inn as the sun reflected brightly on Lake Superior. Andy was extra excited to make things official between them and throw an epic party to boot. After their dramatic first meeting along the shore, we ventured down to Greysolon Ballroom where family welcomed us with open arms. 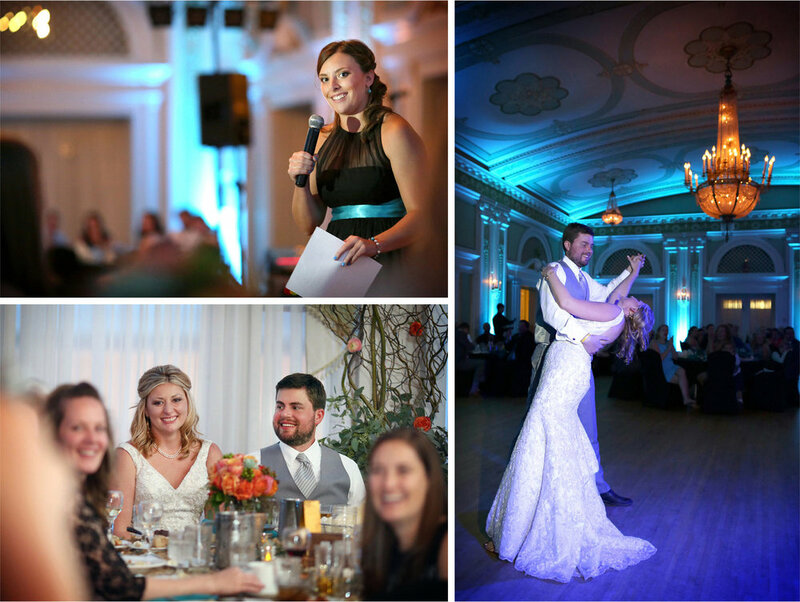 The ballroom was decorated to perfection, as Festivities was once again brilliant. Following the intimate ceremony, the first thing Andy and Katie wanted to do was take a stroll on the beach since their relationship started at a destination wedding in the Dominican Republic. If you blinked you may have thought Park Pointe Beach was a Caribbean Island as sail boats floated by and the sun and water were absolutely perfect while they walked the shore barefoot with drink in hand. Night came too quickly but we closed down the dance floor with these two people we adore. Thank you both for such a splendid day!